You may have seen it coming for a long time. Or it may have happened suddenly through an accident or illness. One or both of your parents are at the point that they can no longer be safely independent in their home. Yet your parents insist that they would like to stay in their familiar surroundings in the home they have worked so hard to build. 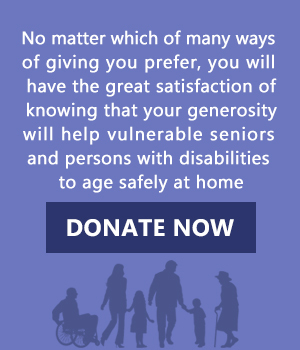 How can you help your parents stay in their home AND stay safe? Provide transportation for them whether it’s through family members or through a homecare transportation service. The more they can maintain their normal schedule, the better. Train them to use technology that can help them stay connected to far-away family members. Staying emotionally connected keeps seniors healthy. Hire cleaning help for inside the home and landscaping help for outside the home. If there is a regular schedule to meet these needs, your parents will be less likely to be injured attempting these tasks on their own. Arrange for safety modifications at home: railings, walk-in shower or tub, first-floor master suite. Have an occupational therapist visit the home and make suggestions particular to your parents’ needs. Purchase an emergency alert button for your parents to wear in case of a fall or other emergency situation. Plan for daily social contact. Be proactive in asking friends and family members to visit at a particular time. Constant social contact will keep your parents healthy and active. If there is a day when no one can visit, make sure someone is contacting them by phone. If one parent is caring for the other, arrange for respite care to be sure the caregiver is receiving breaks and rest. Plan for healthy meals to be brought to them. Or help them plan a weekly menu and cook the meals together. Be sure there are fresh fruits and vegetables in the home to provide the highest quality nutrition. Arrange for a trustworthy and financially-savvy family member or friend to help with the bills. If someone else is keeping their eyes on the money, your parents will be protected from scams aimed at seniors. 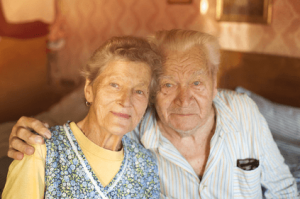 It is possible for your aging parents to remain safely at home. Contact Community Care to find out how we can help you honor your parents’ wish to stay at home. For over 30 years, we have been helping families like yours with various levels of care including transportation, short procedure service, respite care, daily living care, and patient advocacy.